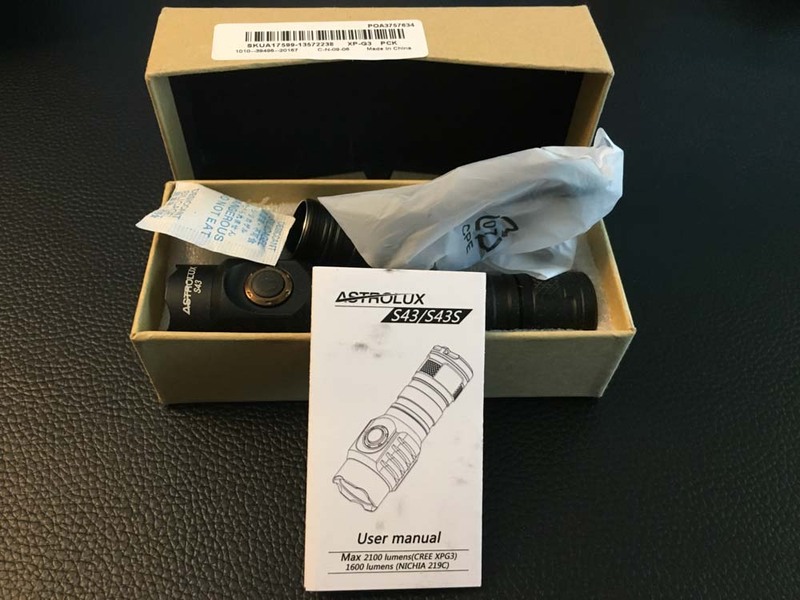 The Astrolux S43 is the latest in the S4x family of quad-LED flashlights, and carries with it massive improvements, as well as a couple of cosmetic changes. One note I have about the user manual is that the online manual goes much more in-depth than the one provided with the light, and doesn’t mention any hidden modes or customization features. The handling of the S43 is one of its best features, in my view. 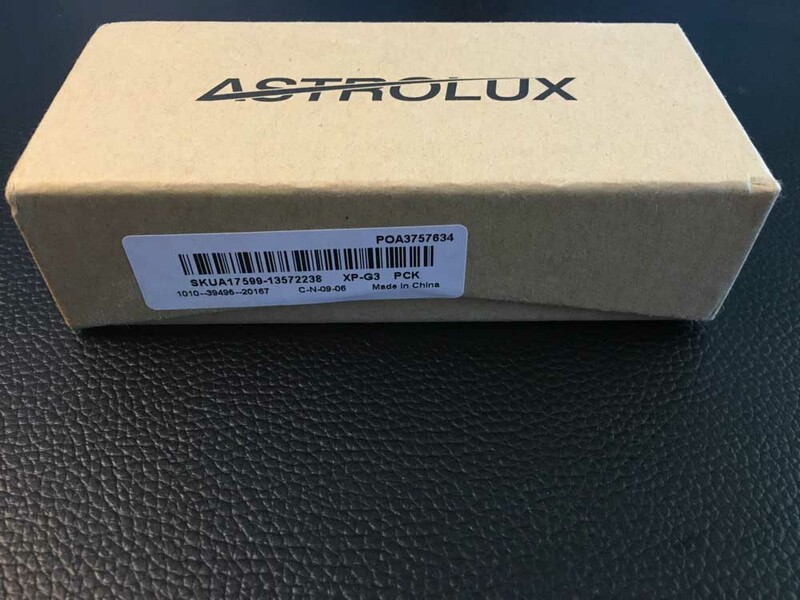 It can definitely be called a “hot rod,” and the design of the light shows that Astrolux put some serious thought into solving the issues that come with such a light. There is a small lip that protrudes past the switch on the head of the light, which makes it so that the e-switch cannot be accidentally pressed by laying the light on its side. The two lockouts (mentioned later) are also very well thought out. 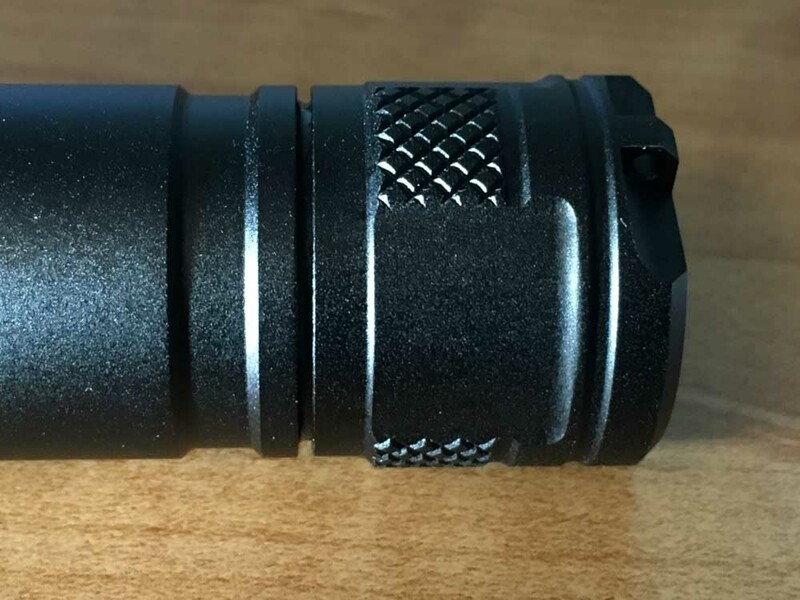 There’s no knurling on the light anywhere but the tailcap, but I personally haven’t had any issues gripping the light, with gloves or without. This is one of the major cosmetic changes from the S42, the other one being the crenulated bezel. The length of the light is one thing that surprised me when I first opened the box - despite being similar in many ways to the D4, it is 3cm taller with the 18650 tube, and almost exactly the same with the 18350 tube. However, I have found the S43 very comfortable to hold in the 18650 configuration. 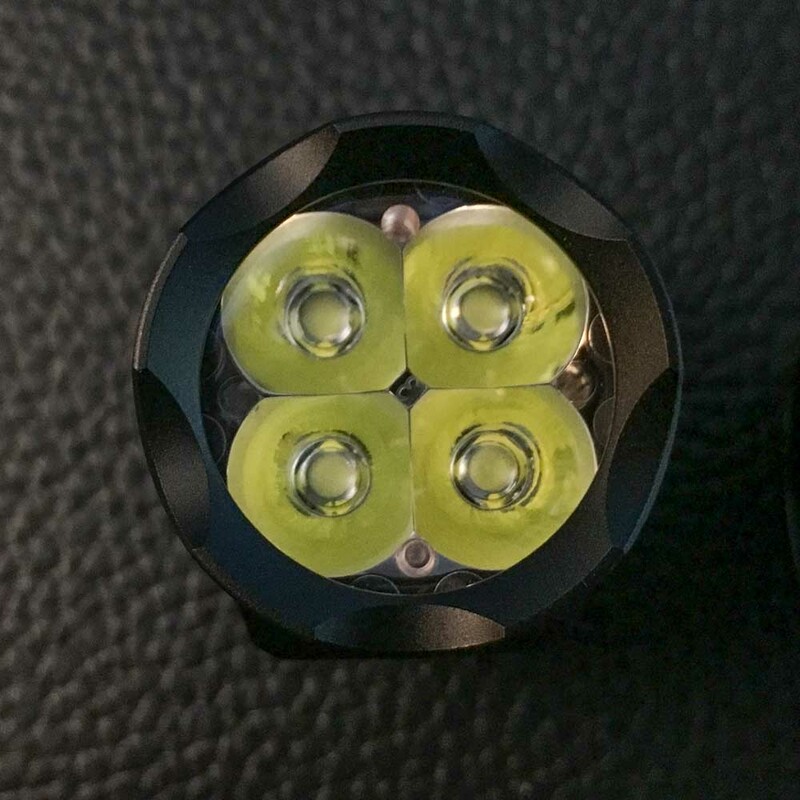 The S43’s build quality is excellent, and the anodization is even better. 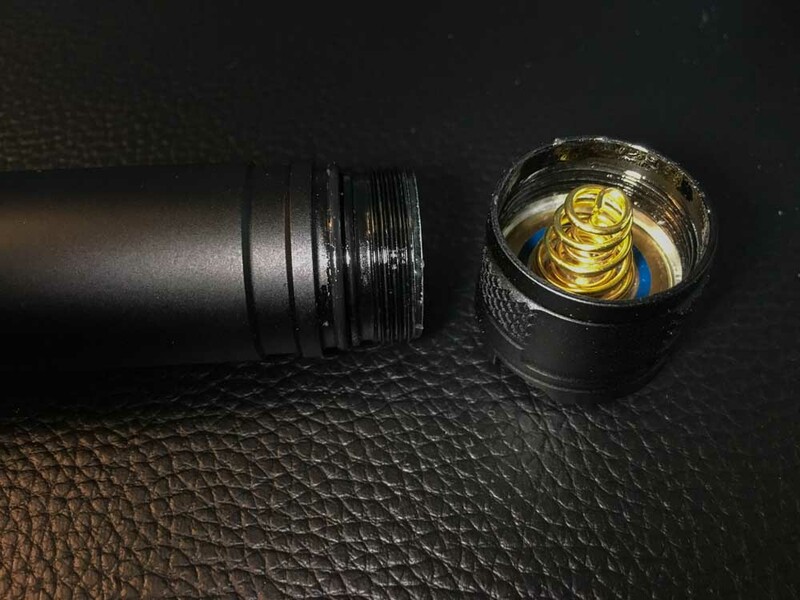 I have noticed that there is a small gap between the top of the tailcap and the bottom of the battery tube as well as a smaller gap between the top of the battery tube and the bottom of the head, but after holding the light under the sink for a short time, I am convinced that these gaps have no negative effect on how waterproof the light is. The LEDs are ...not my favorite. I would definitely go with the 219C over the XP-G3, unless you REALLY need the extra few hundred lumens. It has a bit of yellow-green tint shift, and just doesn’t look great. The S43 has a nice crenulated bezel. It puts out an interesting pattern when the light is on with the bezel on a table, but more importantly, it is a great way to know if the light was left on. The reflector is not a typical reflector, but instead a Total Internal Reflection (TIR) optic. It creates a nice, floody beam with a perfectly adequate hotspot. 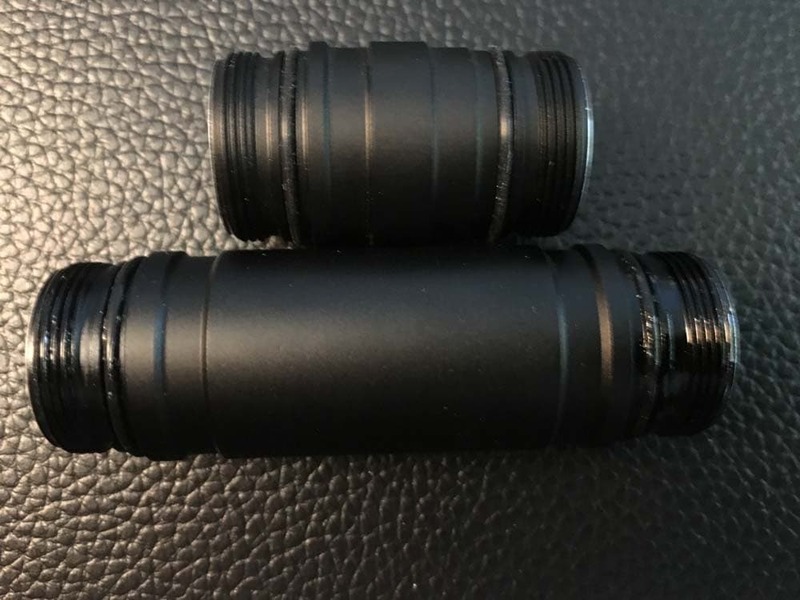 The S43 is almost exactly the same size in its 18350 configuration as the Emisar D4 in its 18650 configuration, as can be seen below. None, unless you want them! It’s a ramping UI, but it can be easily programmed to have distinct modes. 5 clicks activates momentary turbo, and the only way to deactivate it is to loosen and tighten the tailcap. Yes, BUT it can be turned off in the mode-set UI, and there are shortcuts to moonlight and turbo in the ramping UI. The S43 has two lockouts: an electronic lockout that is activated simply by pressing the switch 4 times (and deactivated the same way), and a mechanical lockout that is just a ¼-turn of the tailcap away. The S43 does use PWM, but it was only visible to my iPhone camera when the camera was adjusted in a specific way. 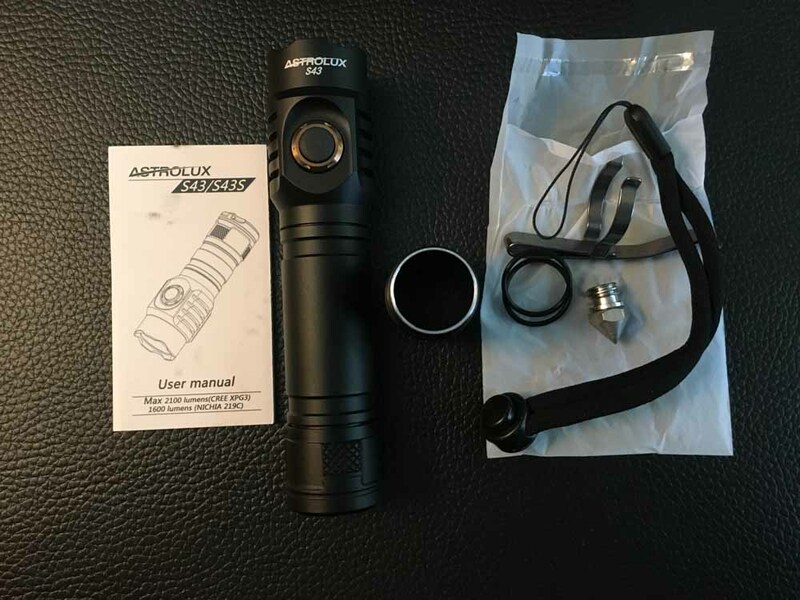 4.5 stars: This is an excellent light, especially considering the price, and the only thing preventing me from making it 5 stars is the XP-G3. I’m fine with a low-CRI option for extra oomph, but I’d rather they use practically anything but the XP-G3 to end up with a nicer-looking beam. That and the QC issue are really the only complaints I have, as this is an excellent light in every other way. I love the USB charging, it looks pretty good, and it puts out more light than anyone would need in most scenarios. Disclaimer: The flashlight was provided by Banggood for review.